According to Statista, more than 23.14 billions devices are connected globally through IoT technology. It is also a big thing that IoT solutions will drive $344 billion revenues globally while cutting down costs upto $177 billion. “Smart”- this word has somewhat changed the existence of the actual way in which it was used before, at least in the engineering and networking communities. From gadgets to the place we are living and our daily necessities, everything around is just going ‘Smart’. This can be considered as the success of Internet of Things (IoT) technology and solutions. The growth of IoT applications and IoT solutions has been magnificent globally throughout the years. Businesses in multiple industry domain have had reaped rewards by increasing revenues, simplifying business process and by cutting the fixed -variable costs to a certain extent on permanent bases. 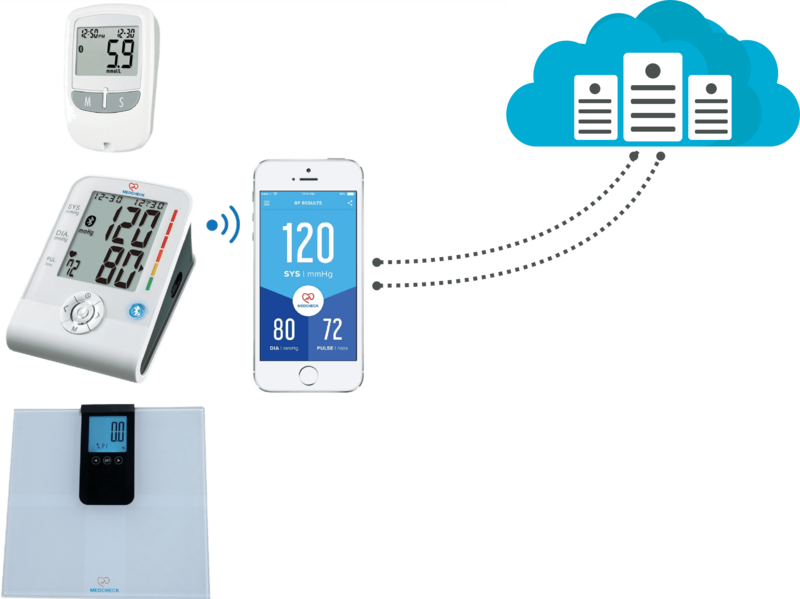 For healthcare industry, IoT based Smart healthcare solutions include remote monitoring, smart sensors and medical device integration to a custom IoT mobile application leveraging custom mobile app development services. Life sciences and IoT Application in Healthcare are expected to grow to $1.335T in 2020, amounting to 17% CAGR as per Google. Industrial Internet of Things (IIoT) has been a huge success in manufacturing industry to automate multiple devices and processes to gather real-time data with robust security and make predictive analysis for better decision making. IoT usage in Industrial manufacturing is projected to grow from 2014’s $472B to $890B in 2020. Let us have a look at the predictions for IoT based solutions for various industries. 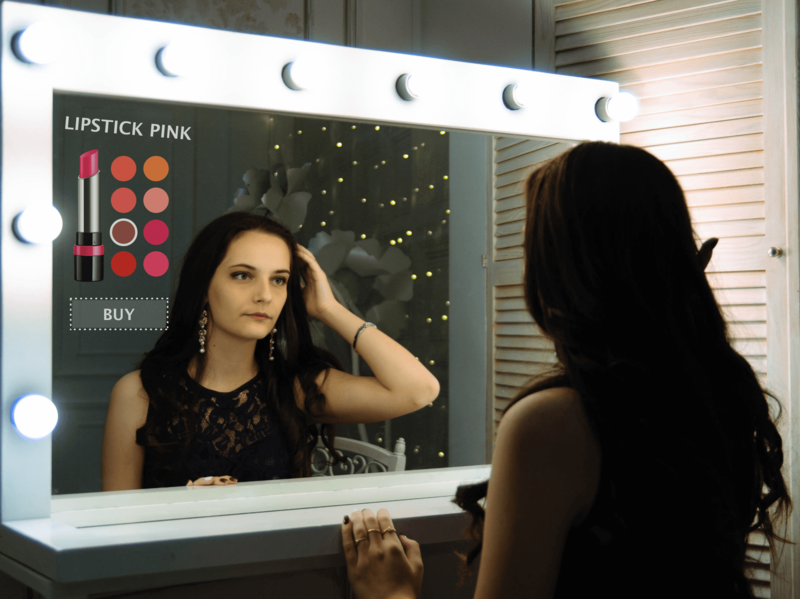 One of the most advanced IoT based solutions set to dominate the retail industry is Smart mirror or Magic mirror. A virtual try-on solution for the in-store customers to try products (clothes, cosmetics,etc.) and see their appearance by standing right in front of a mirror powered with Raspberry Pi Web camera, LED Monitor covered with a sheet of the reflective one-way mirror provides interaction. Using Sensors, the Smart Mirror interacts with the user through gesture/ touch and responds to them adequately. Implementation of technologies like AI, RFID, display technologies and IoT app development will make it a Smart Mirror.. It is an interactive touch-free device that will address the need of accessing up-to-date information required by the user. We, at Let’s Nurture, can help in controlling this tremendous IoT based solution for our clients to make it work flawlessly. Our IOT engineers and Python developers provide tailor-made IoT application development services for smart mirror technology which helps in updating the content that would be useful for the users visiting the store. The biggest benefits would be enhancing in-store experience, implementation of Ecommerce and automated checkout through smart mirror with payment gateway integration to avoid manual checkouts. Imagine having a fridge so smart that it can order food for you when you run out of things. A refrigerator that can tell you what to make based on ingredients that you have. Or a fridge that lets you know that you forgot to shut the door. Remotely. Through an app on your mobile device! 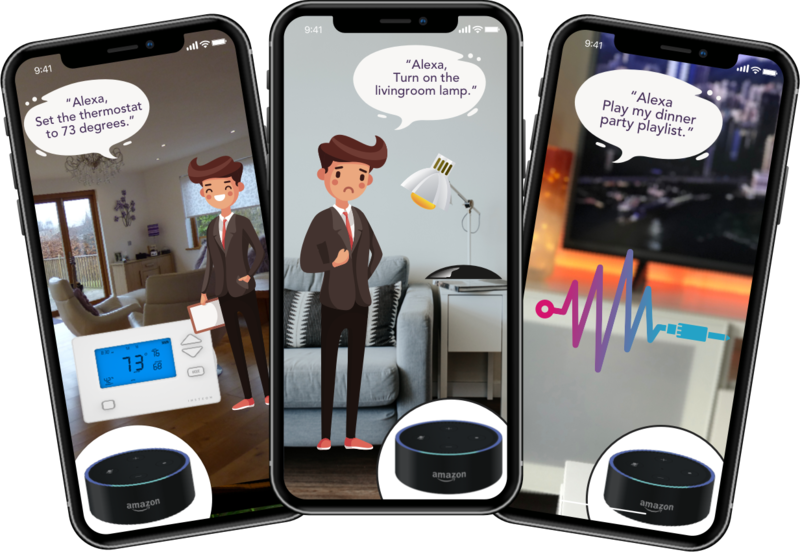 Smart home automation concept is leading the line to get implemented as giants in electric appliances like Phillips and Syska have implemented ‘Smart lights’ which can be controlled through an Android or iOS mobile application. We develop revolutionary home and automation solutions through with the home appliances and gadgets can be accessed and controlled using mobile apps, literally from anywhere with internet connectivity. That also includes unlimited access to online/ offline videos and internet browsing. WIth the invention of Smart Speakers like Google Home, Amazon Echo Dot leveraging Alexa skills development and HomePod leveraging voice-assistant technology, the home automation has been brought to a whole new level to enhance the living experience. Smart home automation is another big upgrade brought in the real estate industry leveraging IoT technology. Sure Smart homes and Smart building have been mastered, the next step towards accomplishing the dream of Smart City would be to implement a solution called ‘Smart Neighbourhood’. The goal is to create a place to live in which can be safe and in the utmost hygienic conditions. This is a concept as of now that is predicted to get materialised during the next year. 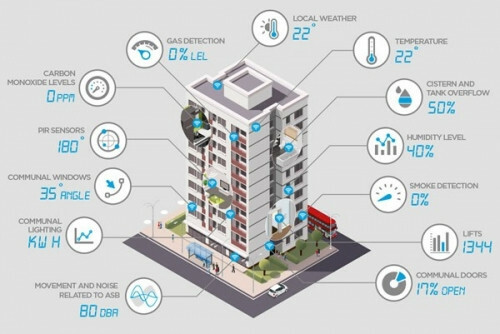 By using smart sensors which will sense, record and transfer every bit of activity like walking routes, shared car use, building occupancy, sewage flow and temperature choice at all times to ensure maintaining the best possible conditions in the neighbourhood. Smart neighbourhood is a significant concept to turn a dream called ‘Smart City’ into a reality. Research firm Berg predicts that by 2021 there will be 50.2 million people remotely monitored using connected healthcare devices compared to 7.1 million in 2016. Smart hospital and IoT based Smart healthcare solutions have started gaining popularity in the healthcare market during the this year. Automobile is an industry in which IoT has been delivering solutions for a few good years now. 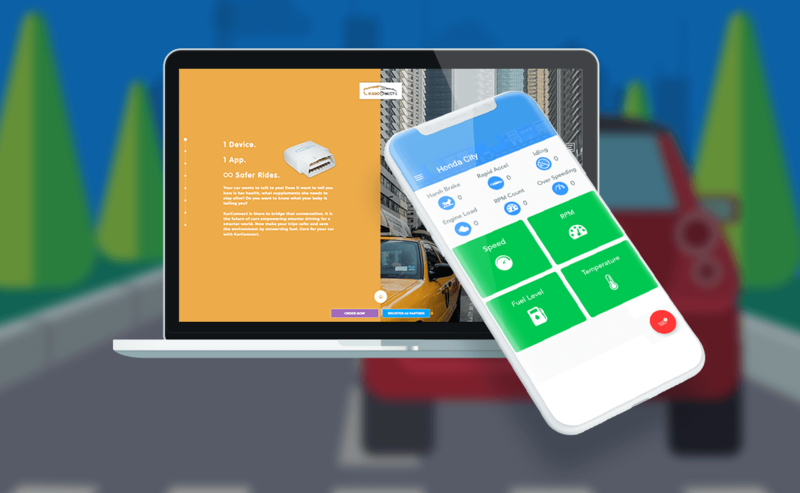 Self-driven cars concept running in certain areas of USA is a result of smart IoT sensors which automates the whole driving experience for passengers. The potential of IoT for automobiles does not limit here. More predictions and opportunities are coming under the microscope which can happen actually during 2019. Why Let’s Nurture can be ideal Tech Partner for IoT solutions? Let’s Nurture is the best IoT solutions and services providers in India, USA and Canada. 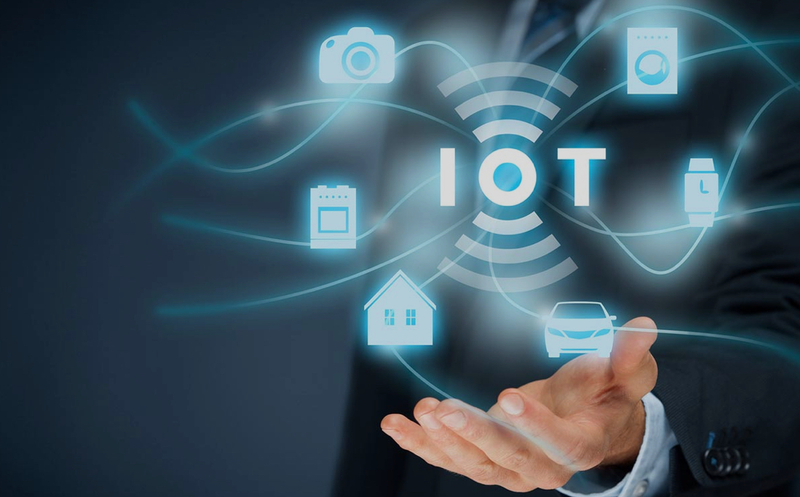 Leveraging IoT ecosystem, we provide expert consulting to help businesses to create a transformation roadmap and execute it with best-in-class business driven IoT mobile app development services. We create custom IoT Apps for Android and iOS platforms with Smart IoT solutions for Small and Medium scale businesses for diverse industry domains. Expert IoT services will empower closed loop enterprise operations, improve supply chain and product manufacturing process with enhanced productivity and cost-efficiency. With our reliable IoT services, it is time for you to step into the digital future. Let’s talk and build innovations around us! « Modern Websites for Ranchers: Is It a Must?